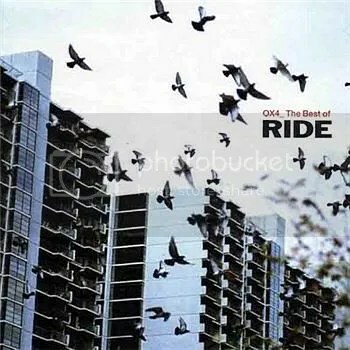 I used to be a big fan of Oxford band Ride and I would like to get the soon to be released 3CD boxed set “OX4: The Best of Ride”, which contains the best tracks from Ride’s brief but bright reign. Ride are Probably best remembered as the progenitors of shoegazing, which dominated the early 90s indie scene, and specialised in skyscraping walls of Sound and noisy uplifting rock. They broke out of the boundaries of British rock music, by drawing on the extremities of bands such as the Velvet Underground, My Bloody Valentine and The Jesus and Mary Chain, and the resulting songs all had an explosive rush that fizzed with enthusiasm. The three discs comprise of: OX4, the greatest hits disc, Firing Blanks, which is a disc of unreleased material and The live disc, which was recorded at the 1992 Reading Festival and serves as a good document of Ride as a live band. The album features tracks From their first two EPs, Ride and Play such as the starry-eyed clatter of “Chelsea Girl“, and the harmonic jangle of “Like a Daydream”, to tracks from the Debut Album “Nowhere” like ‘Taste’, ‘Seagull’ ‘Dreams Burn Down’ & ‘Vapour Trail. By way of ‘Unfamilliar ‘From Time to Time’ ‘Twisterella’, ‘Leave Them All Behind’. The album also contains awesome tracks like ‘Drive Blind ”Eight Miles High’, ‘European Son’,’The Model’, ‘Sight Of You’, and ‘That Man’ and charts their growth from Shoegazers into champions of retrodelica, with Carnival of Light-era tracks such as “I Don’t Know Where It Comes From”. By summoning classic tunes out of the ether, Ride sounded like true pioneers. First created in 1998 by musicians Damon Albarn & Jamie Hewlett while they were living in Westbourne Grove, Gorillaz is an English musical project which consists of the music itself and an extensive fictional universe depicting a “virtual band” of cartoon characters. This band has four animated members: 2D (lead vocalist, keyboard, and melodica), Murdoc Niccals (bass guitar and drum machine), Noodle (guitar, keyboard, and occasional vocals) and Russel Hobbs (drums and percussion). The idea to create the band came about when the two were watching MTV, “if you watch MTV for too long, it’s a bit like hell – there’s nothing of substance there. So we got this idea for a cartoon band, something that would be a comment on that,” Hewlett said. Their fictional universe is explored through the band’s website and music videos, as well as a number of other media, such as short cartoons. The music is a collaboration between various musicians, Albarn being the only permanent musical contributor. Their style is a composition of multiple musical genres, with a large number of influences including: alternative rock, dub, hip hop, electronic, and pop music. The band’s 2001 debut album Gorillaz sold over seven million copies and earned them an entry in the Guinness Book of World Records as the Most Successful Virtual Band.It was nominated for the Mercury Prize in 2001, but the nomination was later withdrawn at the band’s request. Their second studio album, Demon Days, released in 2005, went five times platinum in the UK, double platinum in the United States, earned five Grammy Award nominations for 2006 and won one of them in the Best Pop Collaboration with Vocals category. Gorillaz have also released two B-sides compilations and a remix album. The combined sales of the Gorillaz and Demon Days albums had exceeded 15 million by 2007. The band’s third studio album, Plastic Beach, was released in March 2010. Their latest album, The Fall, was released in December 2010 as a free download for sub-division members, then in April 2011 as a physical release. It Follows on from the release of TOTAL: From Joy Division To New Order which was released in early 2011 and the surprise success of Lost Siren track “Hellbent”, and features Bernard Sumner, Peter Hook, Stephen Morris and Philip Cunningham. 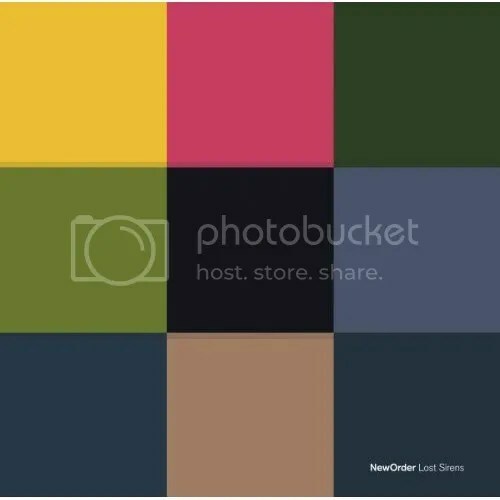 It Features a truly eclectic mix of electronica and guitars in the way only New Order know how, and contains eight tracks which were recorded during the sessions for Waiting For The Sirens Call and are all previously unreleased. “Hellbent” features on The Lost Sirens in it’s original non-radio edit form (as per TOTAL) and “I Told You So” is a previously unreleased mix. Here is the track listing for the album.